Home DIY's	DIY: End of School Year Teacher Gifts! DIY: End of School Year Teacher Gifts! The school year is coming to an end! And for those of you who don’t know, our CEO and founder has two beautiful daughters, and one is graduating from third grade. So, our CEO, Liza, made these cute floral arrangements for the teachers! So cute and so easy! 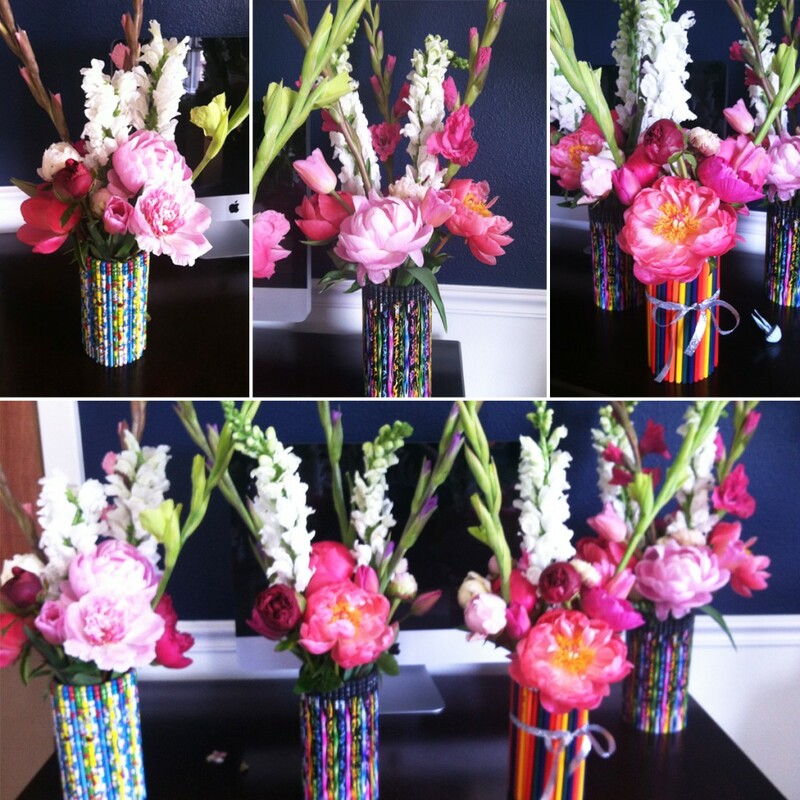 All she did was glue different colored and fun printed pencils to some vases…you can use rubber bands to secure the pencils until dry and they you can decorate by tying a ribbon around the whole thing…Then just fill with fresh flowers of your choice! They would make great gifts or awesome centerpieces for a graduation party! Classic Bride + FiftyFlowers = A Fabulous Flowering Peony Display! Real Wedding: Something Blue Bridal Inspiration!